Before you know it, summer will be upon us. As the days grow warmer and longer, the end of the school year steadily creeps up on us. Just because your children don’t have attend school, doesn’t mean you can afford to take the entire summer off from work. 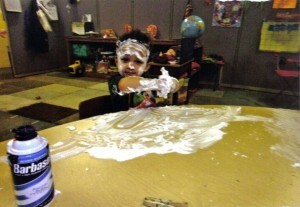 What you need is a quality daycare center who provides affordable summer childcare. If you are from the Smithville, Ohio; Dalton, Ohio; Wooster, Ohio or Massillon, Ohio area and looking for a fantastic childcare facility for your children, then the place to trust is Daily Loving Childcare in Orrville, Ohio. Worried because you don’t have a standard 9 to 5 job? No need to worry, because their services are available for children 6 weeks old to 12 years old, seven days a week for both 1st shift and 2nd shift child care!